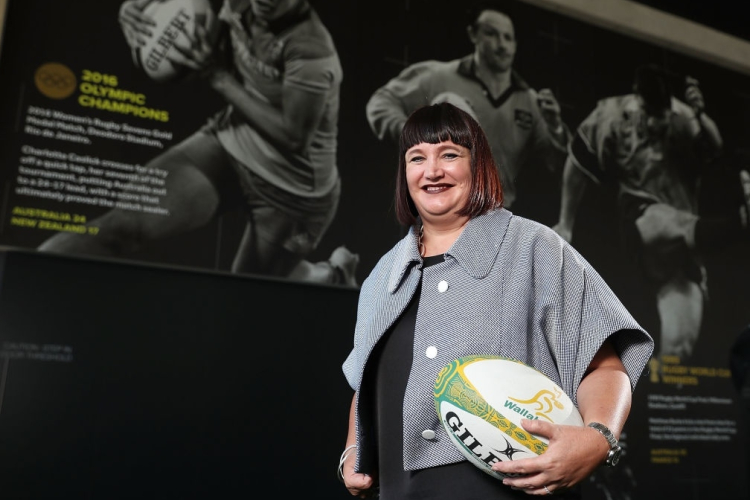 Rugby Australia CEO Raelene Castle has indicated a replacement for axed Wallabies attack coach Stephen Larkham will be sought overseas. Rugby Australia CEO Raelene Castle admits it may take up to two months to replace axed Wallabies attack coach Stephen Larkham, lending weight to speculation of a move for Scotland assistant Matt Taylor. But it took until Monday to confirm coach Michael Cheika's decision to sack Larkham, who said they'd struggled to agree on attacking strategy. Castle said on Tuesday the search for a replacement would begin when incoming director of rugby Scott Johnson - Cheika's new boss - completed his commitments with Scotland in March. Former Queensland Reds assistant Matt Taylor - currently working under Johnson as Scotland assistant - is one of the potential names in the mix for the role. The delay would allow Queenslander Taylor to complete his Six Nations commitments undisturbed. Castle gave a clear indication the new attack coach would come from overseas. "Our preference is not to disturb Super Rugby," she said. "They're happy with the coaching structures as they are. We want to give them the best chance to be focused on Super Rugby this year. "There are a number of people who have expressed interest in the last 24 hours and we've certainly identified a number of people. "We'll be looking at who is available and we'll be working together to find the right option. "We'd like Scott to be involved in that process. He doesn't arrive until mid-March so that will be part of the time frame." Wallabies great Larkham became the major casualty of the dire 2018 campaign, but will remain with Rugby Australia in a new role as national high performance coach advisor. However he was far from alone in copping criticism with Cheika and his other assistants also under fire as the Wallabies picked up just four wins from 13 Tests. "The relationship between Michael and Stephen is fine," Castle said. "They just found from a Wallabies perspective that it wasn't the right thing for Stephen to continue. "Cheik identified why the attacking alignment wasn't right and why we haven't performed in that area."